There are calls for the National Autistic Society (NAS) to rethink its involvement in the care sector if it cannot set the highest standards. The move follows the national charity’s failure to protect residents in its care against abuse. Steve Broach, barrister and leading disability rights campaigner, has highlighted the need for the charity to set a benchmark. He was speaking out after reports of abuse at the NAS-run Mendip House in Somerset. The Somerset Safeguarding Adults Board (SSAB) catalogued mistreatment of vulnerable residents at Mendip House following tip-offs from whisteblowers. The facility, set within a complex known as Somerset Court, housed six people with autism and complex needs. It has since closed and the former residents have moved to different facilities. Reports of abuse at Mendip House, which housed residents between the ages of 25 and 64, go back as far as 2014. The SSAB review recorded how staff threw food at residents, gave them chillies to eat, threw residents into a swimming pool and took their money to fund their own entertainment. The Treating Autism charity has now weighed in with a call to action. It is urging people to write to their MP to express concern about the events at Mendip House. Click here to visit the charity’s dedicated web page. The NAS is reported to have registered 58 residential and community services across England. These provide around 250 beds. However, the charity has previously been shown not to be fully safeguarding its service users from abuse. In 2013, the Care Quality Commission announced enforcement action against the NAS following its inspection of Orchard House in Bideford, Devon. The Commission found an ‘excessive’ use of seclusion and restraint at the site, which was a specialist school for students with autism of age 16 and older. Inspectors also discovered a person naked in the site’s grounds. The revelations at Mendip House have sparked calls for local authorities to examine how they manage placements. The SSAB review criticized them for not asking “searching questions about the benefits of residents being placed at Mendip House”. Meanwhile, the NAS has strenuously denied allegations of a ‘cover up’. These allegations have been circulating around social media since the news about Mendip House became public. However, the SSAB review criticized the NAS for not doing enough to protect residents when it knew about the abuse. The NAS also came in for criticism for not sharing the problem with outside agencies. The SSAB review said the NAS had “more evidence of the degradation of residents by its employees than it shared with SCC and the Care Quality Commission or with Local Authorities”. 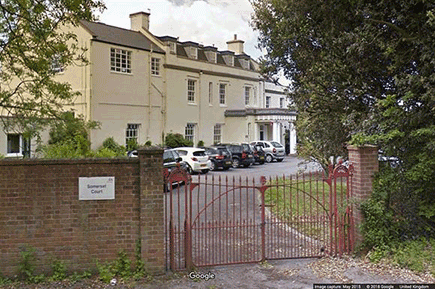 Although the NAS has taken disciplinary action against staff at Mendip House, there are no plans to prosecute. A statement from Avon and Somerset Police said “the evidential test required to bring criminal charges was not met”.